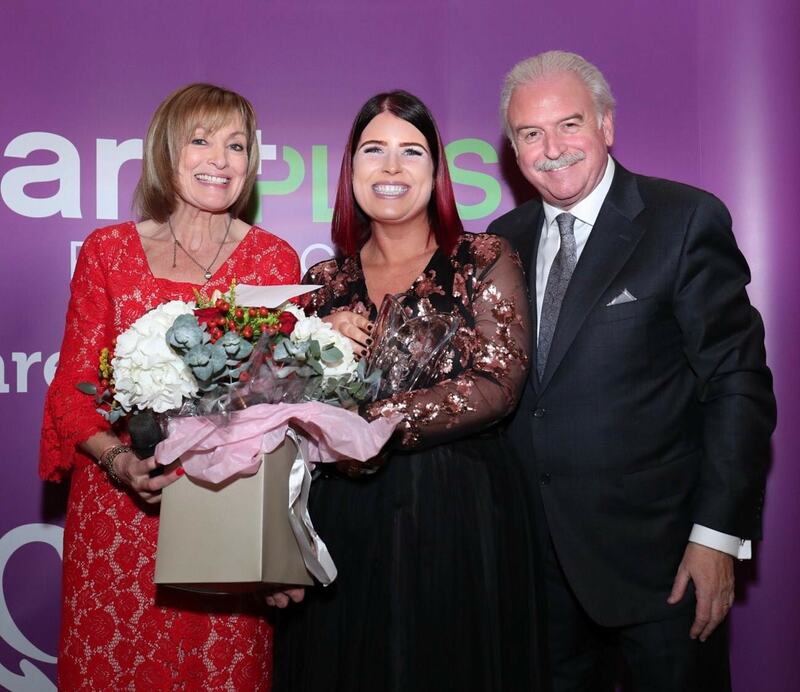 The National CarePlus Carer of the Year 2018 Awards took place on Friday, November 23rd in a special ceremony in The Westin Hotel, presented by broadcasters and patrons of Family Carers Ireland, Marty Whelan and Mary Kennedy. Twenty-seven family carers from across Ireland were recognised for their dedication, commitment and contribution in their caring roles. Brenda O’Connell-Barry from Charleville, County Cork was announced as the overall CarePlus Carer of the Year. Brenda and her husband Trevor care for their young son Fionn (4) who has NACC1, a rare genetic mutational condition. Fionn is the only known person in Europe with this diagnosis. Fionn became very ill at three months old and spent the first two years of his life in and out of hospital. He stopped feeding and would cry for 20 hours a day in extreme pain, leading to a nasal gastro tube and peg feeding. However, despite her son's condition, she still has to fight for State support - something she hopes will change now that she has won the award. Brenda herself suffers from a highly debilitating illness called Systemic Lupus and has undergone chemotherapy treatment to alleviate the pain. She also cares for her mother who has recently had a cancer diagnosis. Among the CarePlus Young Carers of the Year from Munster were Harry (13) and Molly Flynn (11) who have helped their younger sister Isabelle (7) - who was told she would never walk, talk or have the use of her hands and legs - to not only crawl but to sit up, hold a spoon, feed herself and dance too through their constant attention and support. The pair have also saved their sister's life on more than one occasion. Isabelle has a condition called Apnoea (as well as Cerebral Palsy), where she stops breathing during the day and night. The first time it happened was when she was first born. Harry was holding her and feeding her a bottle when she started crying and suddenly stopped and he noticed her lips were turning blue. Harry, who was only 6 years old at the time had been in the Red Cross for a while and noticed that she wasn't breathing. He tapped her on the foot to try and wake her up - as he had been taught - and then blew into her mouth, giving her enough oxygen to regain some colour in her lips again. Molly wanted to tell any other brother or sister who might worry about their sibling, that helping someone is fun and not scary or hard. "I was in the hall and I was trying to play a game with Isabelle and I said: 'I'm going to try and get her to crawl,' and me and Harry went crawling down the hall, and Isabelle crawled after us. "And I helped her dance and sing," says Molly, "and I helped her eat and talk properly," adds Harry, who both say simultaneously that "it's fun" helping Isabelle. Our Leinster Young Carer of the Year, Sean Ryan (10), hails from Portlaoise and helps to care for his twin brother, Liam. Liam has severe Quadriplegic Cerebral Palsy and as a result of his illness is in a wheelchair full-time. Liam also has many other complex medical needs. Sean helps his twin brother by bringing Liam's feed to their mother Niamh, fetching a clean bib and knowing when to stop Liam's feeding tube when its finished. Alanna Connolly (17) took home the award for Connacht/Ulster Young Carer of the Year. Alanna is from Athenry, County Galway and helps to care for her twin sister Leah. Leah was born with an undiagnosed rare syndrome. At birth, doctors did not know what the future held for Leah and did not know whether she would ever walk, talk or how long she would live. From day one Alanna helped Leah to grow stronger and has supported her in learning new things constantly. Alanna was nominated by her mother, Dawn, as a thank you for her patience, kindness and support through some difficult times over the last 17 years of their lives. 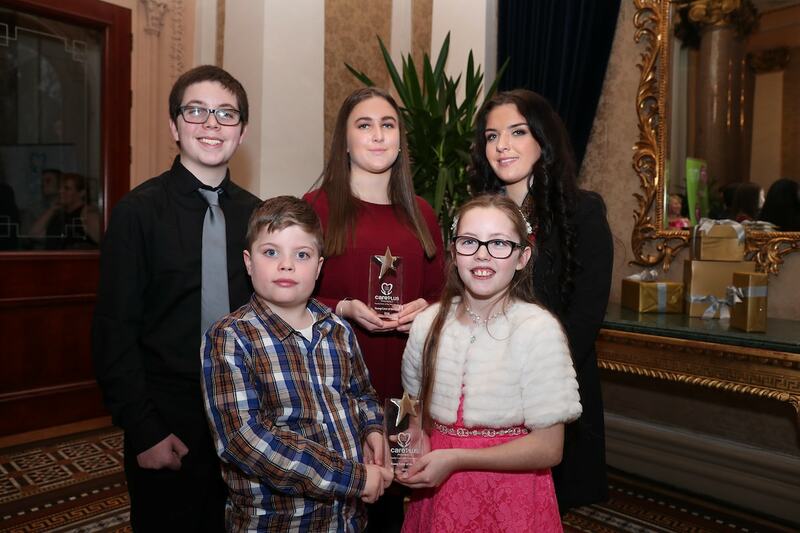 Our last Young Carer of the Year award went to Shauna Tighe (14) from Tallaght, Co. Dublin. Shauna helps to care for her brother Daniel (11) who has Sotos Syndrome - a rare genetic condition which causes severe intellectual disability, epilepsy and a sensory processing disorder. Shauna helps to bathe her brother, as well as feeding him and helping get him up and down the stairs due to his visual impairments. Shauna will often get up and help her mother with Daniel when he wakes in the middle of the night, his care requires two people due to his size and behavioural difficulties. She has been taking care of her brother since she was just six years of age. We were delighted here at CarePlus to sponsor such an amazing and inspiring event like the Carer of the Year Awards. It is so important to acknowledge these brave, selfless people and the work they do day in and day out.